RABBITS - THE LAST BUT ONE QUARRY? The charming book 'Watership Down', along with the enchanting film 'Bambi', did much to provide the urban-dwelling public with a wholly misleading view of man and nature. In a crowded island, deer need controlling, in their own interests. Bunnies are not cute; they are a nuisance, an expensive nuisance. The wild rabbit is one of the greatest pests in Britain and yet it has not been one to earn its own specialised breed of dog for its control or extermination. We have Fox Terriers, Otter Hounds and now Minkhounds, Wolfhounds and Deerhounds but not, by name, Rabbit Hounds. Oh I realise that the Bedlington Terrier, the Whippet and the Beagle can hunt rabbits very effectively, quite apart from working terriers and lurchers, but it is surprising that the rabbit itself has not drawn a specialist in title. The rabbit can of course be a domestic pet and farmed too for its fur; but the wild rabbit is a big threat to agriculture, along with the rat - perhaps one day the one remaining quarry for hunters with dogs. Under The Hunting Act of 2004, rabbit hunting is exempt so long as it takes place on your own land or you have the landowner's permission to do so. Find me a landowner who welcomes rabbits on his land and he will be immediately shown up as someone with little or no knowledge of the extensive damage they do. Years ago, one prominent estate-owner was reported as having committed suicide, with his dying words recorded as 'The rabbits have killed me!' Half a century ago, one expert estimated that there were 100 million rabbits in Britain. With each doe capable of producing 36 fast-maturing offspring a year, rabbits are responsible for a 17% loss in agricultural yield, averaging in some places £40 per acre per year. Rabbit-proof fencing and chemical extermination is costly and never a one-off measure. Send for the rabbit hunters! 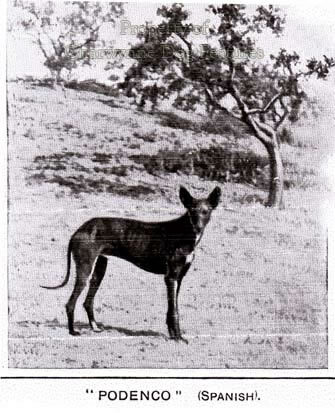 At the start of the last century, one enthusiast here imported a Portuguese Warren Hound, one of the Podengo breeds of all-round sporting dogs from Southern Europe. It didn't gain supporters; if it had been imported under its proper title: Portuguese Rabbit Dog, it might have done better, there's a lot to a name. In the last few years, Betty Judge has brought in a number of the small variety of the Portuguese Podengo. They look a little like Cairn Terriers, but are commendably nondescript, with no fancy coats, special heads or breed features for the exaggerators to get excited about. They are alert, robust, keen-eyed and determined little sporting dogs. When I was in Portugal fairly regularly some thirty years ago, I was impressed by both the medium-sized and the small-sized Portuguese Rabbit Dogs; they were brilliant at hunting rabbits in trying conditions, where there are dry stone walls and terraces, which provide enormous scope for agile rabbits. Similar podengos can be found all along the Mediterranean littoral. I found a remarkably similar hunting dog in Malta and Gozo half a century ago, where a pack of local hounds, strengthened by a red Whippet and a tan Manchester Terrier, left behind by departing servicemen, provided great hunting. Their agility was hugely impressive. Years later, I was amused to note that a British enthusiast had imported some Maltese Rabbit Dogs and persuaded our Kennel Club to name them 'Pharaoh Hounds', with a foolishly-conceived provenance linking them directly with ancient Egyptian hunting dogs. No one makes such a claim for the other breeds of this exact type, found in Crete, Sicily, the Spanish Islands (as the Ibizan Hound demonstrates), Spain or Portugal. The little bobbery pack of Gozoan Hounds which impressed me when hunting rabbit, in terrain demanding great agility and hunting skill, didn't deserve such shabby treatment; I don't know of a single one, of those imported here and subsequently bred from, being used here on rabbit. A blend of Whippet, Manchester Terrier and Portuguese Podengo would produce a very effective Rabbit Hound here. No doubt there are small lurchers of such a type being used already; there are examples of this type at most big lurcher shows. With the historic hare-hounds affected by the Hunting With Dogs legislation, a specialist hound, dedicated to vermin-control, might have a brighter future. Rabbit-hunting has long been sniffed at by the well-heeled sportsmen, but times have changed, country sports have to be reshaped, the day of the rabbit-hunter may have arrived. In the United States, the American Rabbit Hound Association registers rabbit hounds bred to meet its standards. Founded in 1986, with 140 clubs in over 28 states, the ARHA promotes hunting competitions and offers a programme of organised rabbit hound hunts. There are six types of hunt competitions: gundog brace, gundog pack, big pack, little pack, progressive pack and Basset. The objective of these field events is to identify those hounds with the best ability to search (i.e. locate the rabbit), flush and drive the rabbit back to the hunter. At the end of each hunt competition, there is a conformation show to try to identify the best constructed hounds. A comparable parent body here might concentrate the minds of rabbit-hunters. Britons holidaying in the Canaries may under-rate the sporting potential there; but the Podencos Canarios, or hunting dogs, find plenty of sport on rabbit there, even in Lanzarote. This type of sporting dog is found too in Majorca, as well as Ibiza. The rabbits there don't live underground but in crevices, piles of rocks or in crumbling stone walls. As both the late Brian Plummer and Ted Walsh frequently pointed out, catching rabbits above ground is never easy. They may be classed as vermin and sneered at by the more privileged hunter but they can make a good hare-dog look stupid. 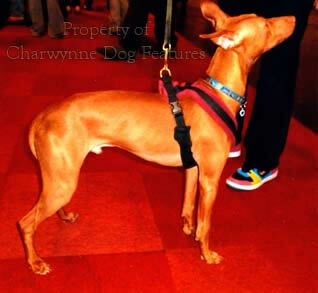 The Sicilians pride their rabbit-dog, the Cirneco dell'Etna, on its scenting skill just as much as its speed and agility. Dry stone walls and rocky hillsides really test a dog's hunting ability. Volcanic lava really tests a dog's feet. The rabbit is worthy prey; I actually prefer rabbit pie to jugged hare. The day of the rabbit-dog may have arrived! Hunters have long controlled rabbits using 'bobbery' packs of terriers, Beagles and Whippets, as well as small lurchers. In his 'Beagle and Terrier' of 1946, Roger Free recommended a small pack of Beagles for rabbit control. He wrote that: "they have the advantage of being absolutely tireless in their pursuit of the elusive rabbit and add to the day a touch of colour and music which would otherwise be missing." Sir Jocelyn Lucas ran Beagles with his terrier pack to encourage them to give tongue. Lucas related, in 1909, how a sportsman approached him with an offer to sell him tiny miniature Dachshunds, which he claimed were small enough to go below ground and draw a rabbit. Lucas stated that these Dachshunds were small enough to negotiate a 4" wicker pipe! A century ago, Hutchinson, the great gundog expert, recorded one sportsman using "the smallest Beagles that can be obtained" on rabbits, ones that were trained to ignore hares - as they would have to be today. But he strongly advised against the use of spaniels to hunt them, arguing: "As for rabbits, I beg we may have no further acquaintance if you ever, even in imagination, shoot them to your young dog...He will degenerate into a low potterer, - a regular hedge-hunter. In turnips he will always be thinking more of rabbits than birds." But I have known of a brace of Sussex Spaniels being used by a rough shooter on rabbit and feathered game, without any loss of control or specialisation. The dogs seemed to know how to hunt each quarry differently. In his 'The Dog in Sport' of 1938, James Wentworth Day wrote of an old Sussex squire who 'bred and kept the Sussex Spaniel. Now that is a rather heavy sort of spaniel, with a nice, shining coat, bred to hunt rabbits out of those vast beds of gorse which cover the Sussex Downs with a golden sheet...' He is said to have trained them to hunt the South Down rabbit, just as a neighbouring squire did with a pack of Beagles. The spaniels in the Sussex pack wore bells on their collars so the squire could hear where they were hunting, normally out of sight. Wentworth Day also greatly admired the rabbit-hunting Sealyham pack of Sir Jocelyn Lucas. He wrote that 'They brought hard-bitten, hard-riding Essex farmers out of their stackyards and stockyards to gaze in admiration, to voice naive praise'. 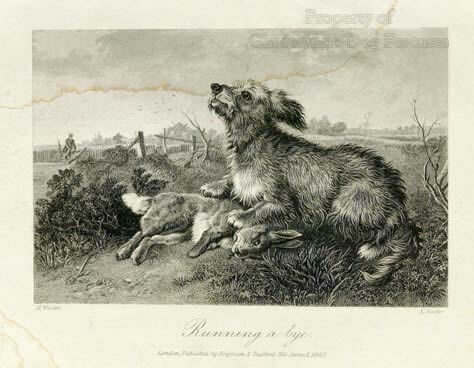 Delabere Blaine, in his Rural Sports of 1870, also admired the sight of spaniels hunting the rabbit. He wrote of 'The spaniels questing for rabbits within the close tanglings of an extensive wood; their merry cry bespeaks them on the scent; the sporting attendants spread here and there, all eye, and all ear, to see the quick darting of the rabbit across the path...the nimble spaniel is seen racing over the same tract in his wake.' Such a country activity used to prevent many a feckless youth from suffering the boredom of the teen-aged years - the sheer enthusiasm of the dogs alone stirring the blood. In his book, also entitled Rural Sports, of 1801, William Daniel writes of one wildlife expert who calculated that one rabbit could, over a four year period, initiate the breeding of 478,062 offspring. Plenty of work experience there for bored teenagers! 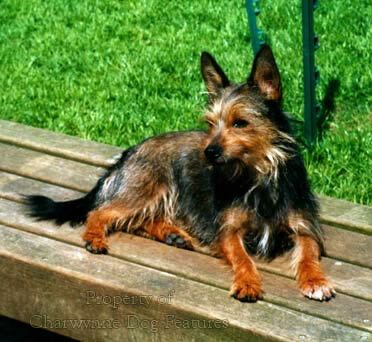 The late Brian Plummer found terriers best for catching 'sitting' rabbits, superior to sight or scent hounds. He was against going rabbiting with lurchers and terriers together, claiming that fights soon ensued when the faster lurcher stole the terriers' chosen target. But, he, a highly experienced hunter, cautioned against under-rating the rabbit as quarry. He wrote: "Make no mistake about it...the sighthound has a tough time catching rabbits during daylight hours. Rabbits run quickly, about 25 mph as their top speed...but they reach their top speed in seconds. Run in daylight hours, they dodge and duck well enough to put a hare to shame and seldom feed far from home. Rabbits are never easy catches." In Australia they have an even bigger problem with rabbit-damage than we do here. Yet, despite developing their own heeler and terrier, they too have never produced a specialist rabbit hound by name. This may be because the breeds taken there from Britain were deemed adequate for the task. In his informative book 'Australian Barkers and Biters' of 1914, Robert Kaleski paid tribute to the Beagle, writing: "Of late years another job has arisen for the Beagle in Australia, and he, like all good Australians, has risen to the job. This job is a very important one. Every grazier knows that after his country has been absolutely swept bare of the grey curse there is invariably one here and one there overlooked in some inaccessible places which pop up and start breeding again. Ordinary dogs do not bother with odd ones like these in bad places; but the Beagle, with whom chasing rabbits is an age-old instinct, goes after these 'last rabbits' with joy and never leaves them alone until run down and secured." It is this sheer persistence, massive enthusiasm and scenting prowess which makes the Beagle such a superlative hunter - and a handful sometimes for a novice Beagle owner not versed in their avid trailing instincts whenever strong scent is encountered! These instincts are being perpetuated by the working section of the Beagle Club and I applaud their efforts in these difficult days for sporting breeds. Perhaps legislation is around the corner for pastoral breeds too; after all sheep farmers do exploit working sheepdogs! Single-issue lobbyists know no bounds nowadays. But lining up urban-dwellers against countrymen is destructively divisive. I always oppose disparaging remarks about 'townees' by countrymen. There is nothing wrong with people who live in towns, but a lot wrong with what Van der Post labelled 'town-mindedness'. We need those who understand dogs that work whether in the sporting field or the pastures to step forward and educate those who don't. I strongly supported the Wild Mammals (Protection) (Amendment) Bill, a much better way of combating human misdeed. 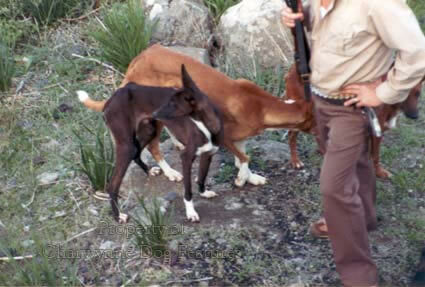 The Hunting with Dogs Act is more an act of vengeance than animal welfare. It needs a rethink. I agree with the words of Charles Pye-Smith in his masterly eye-opening recently-published 'Rural Rites': "In its place we need legislation which recognises that the welfare of animals, the well-being of people, and the richness and integrity of the natural world are inextricably linked." I am saddened by the increasing number of both foxes and hares being found maimed but still alive, following the use of the gun to control their numbers. Before the League of Leporine Rights insists on the country being taken over by rapid-breeding rabbits, those with knowledge of hunting and with humane instincts towards wildlife have much to do. Dogs kill rats faster than poison; dogs catch rabbits cleanly. Shotguns can so easily maim rabbits, dogs are the humane way to control such a wild menace. Who will create a dedicated English Rabbit Dog by name and employment?